Here is a property category that could be, probably should be, a blog of its own–the ranching landscape of Big Sky Country. Historic family ranches are everywhere in the state, and being of rural roots myself, and a Tennessee Century Farm owner, the ways families have crafted their lives and livelihood out of the land and its resources is always of interest. When I carried out the 1984-1985 fieldwork for the Montana state historic preservation plan, a handful of ranches had been preserved as museums. 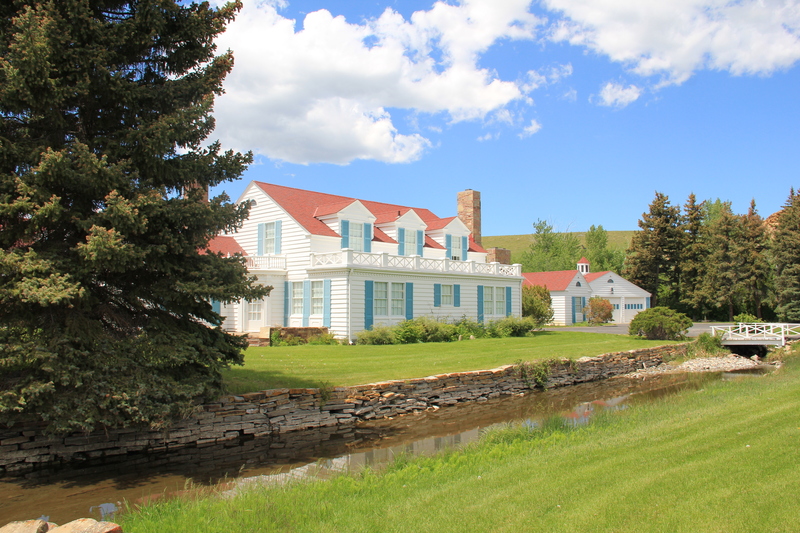 On the eastern end of the state in Wibaux was the preserved ranch house of Pierre Wibaux, one of the 1880s cattle barons of eastern Montana and western North Dakota. The ranch house today remains as a historic site, and a state welcome center for interstate travelers–although you wish someone in charge would remove the rather silly awning from the gable end window. not only preserves one of the earliest settlement landscapes in the state it also shows how successful ranches change over time. John Grant began the place before the Civil War: he was as much an Indian trader than ranch man. Grant Kohrs however looked at the rich land, the railroad line that ran through the place, and saw the potential for becoming a cattle baron in the late 19th century. To reflect his prestige and for his family’s comfort, the old ranch house was even updated with a stylish Victorian brick addition. The layers of history within this landscape are everywhere–not surprisingly. There is a mix of 19th and 20th century buildings here that you often find at any historic ranch. 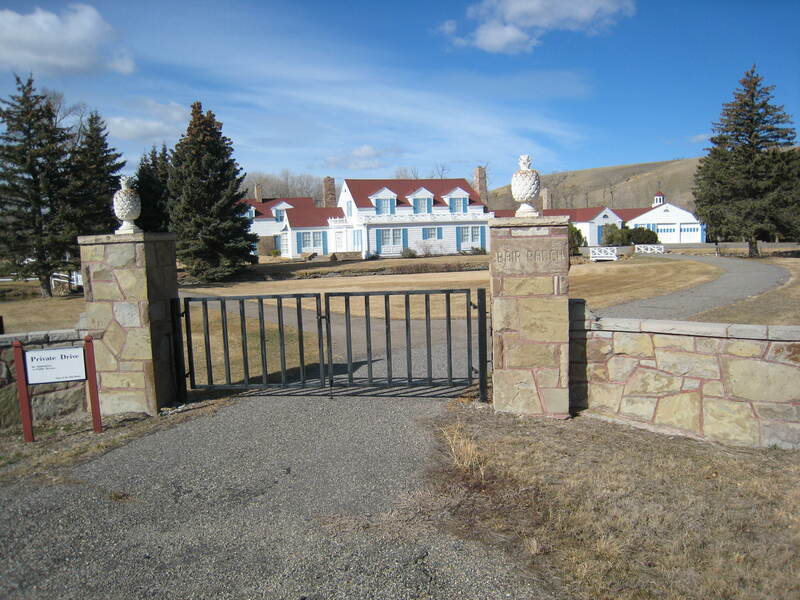 When I was working with the Montana Historical Society in 1984-1985 there were two additional grand ranches that we thought could be added to the earlier preservation achievements. Both are now landmarks, important achievements of the last 30 years. The Bitter Root Stock Farm, established in 1886 by soon-to-be copper magnate Marcus Daly outside of Hamilton, came first. I can recall early site visits in 1985–that started the ball rolling but the deal wasn’t finalized for several years. All of the work was worth it. Here was one of the grand showplace ranches of the American West, with its own layers of a grand Queen Anne ranch house (still marked by the Shingle-style laundry house) of Daly’s time that was transformed into an even greater Classical Revival mansion by his Margaret Daly after her husband’s death. It is with us today largely due to the efforts of a determined local group, with support from local, state, and federal governments, a group of preservation non-profits, and the timely partnership of the University of Montana. The second possibility was also of the grand scale but from more recent times–the Bair Ranch in Martinsdale, almost in the center of the state. 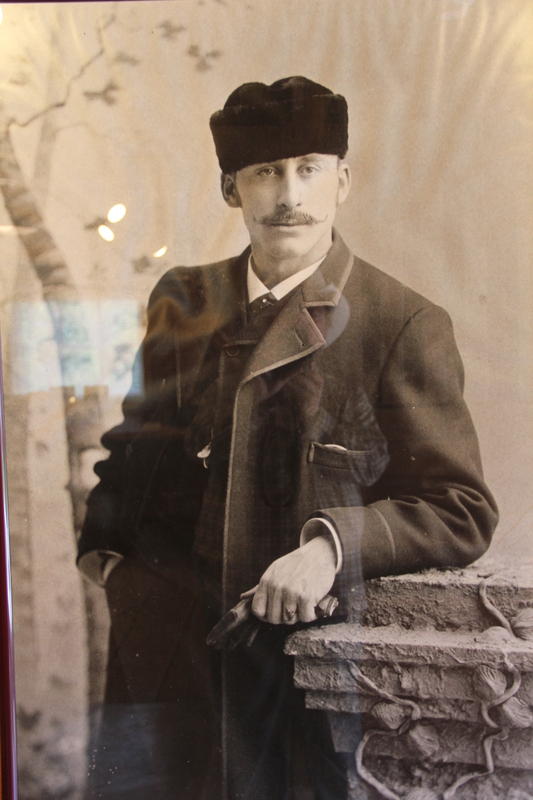 Charles Bair had made his money in sheep and wise investments. His daughters traveled the world and brought treasures home to their Colonial Revival styled ranch house. To get a chance to visit with Alberta Bair here in the mid-1980s was a treat indeed. 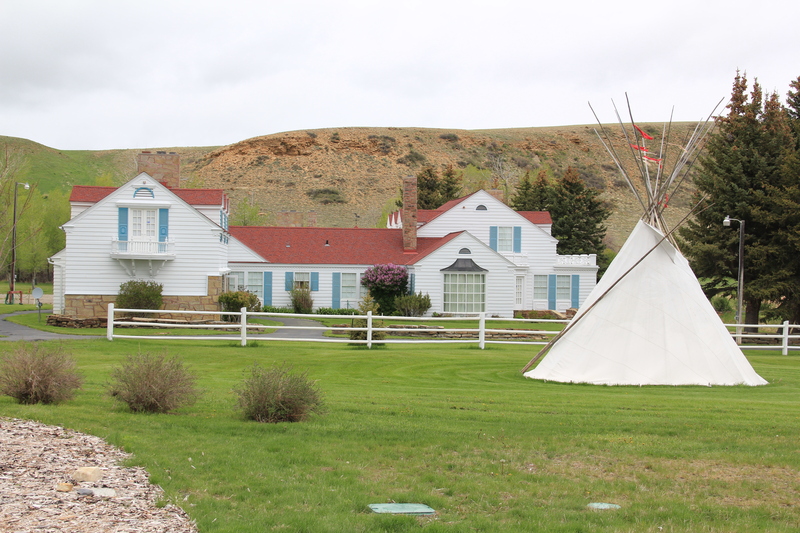 Once again, local initiative preserved the ranch house and surrounding buildings and a local board operates both a house museum and a museum that highlights items from the family’s collections. The success of the Bitter Root Stock Farm and the Bair Ranch was long in the making, and you hope that both can weather the many challenges faced by our public historic sites and museums today. We praise our past but far too often we don’t want to pay for it. That is why family stewardship of the landscape is so important. Here are two examples from Beayerhead County. The Tash Ranch (above and below) is just outside of Dillon and is listed in the National Register of Historic Places. But is also still a thriving family ranch. The same is true for the Bremmer Ranch, on the way to Lemhi Pass. Here is a family still using the past to forge their future and their own stories of how to use the land and its resources to maintain a life and a culture. first glance, architecturally magnificent as the properties above. But in its use of local materials–the timber, the rocks from the river bluffs–and its setting along a historic road, this ranch is far more typical of the Montana experience. 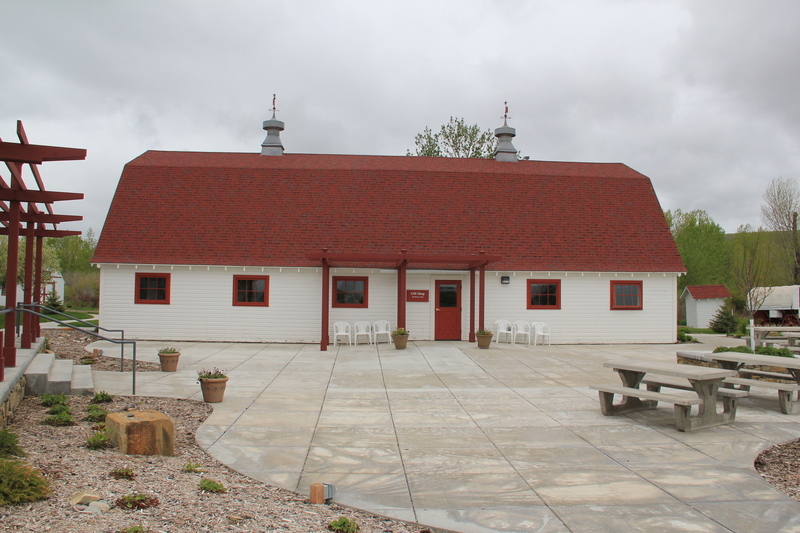 Similar traditions are expressed in another way at a more recent National Register-listed ranch, the Vogt-Nunberg Ranch south of Wibaux on Montana Highway 7. Actively farmed from 1911 to 1995, the property documents the changes large and small that happened in Montana agriculture throughout the 20th century. The stories of these ranches are only a beginning. 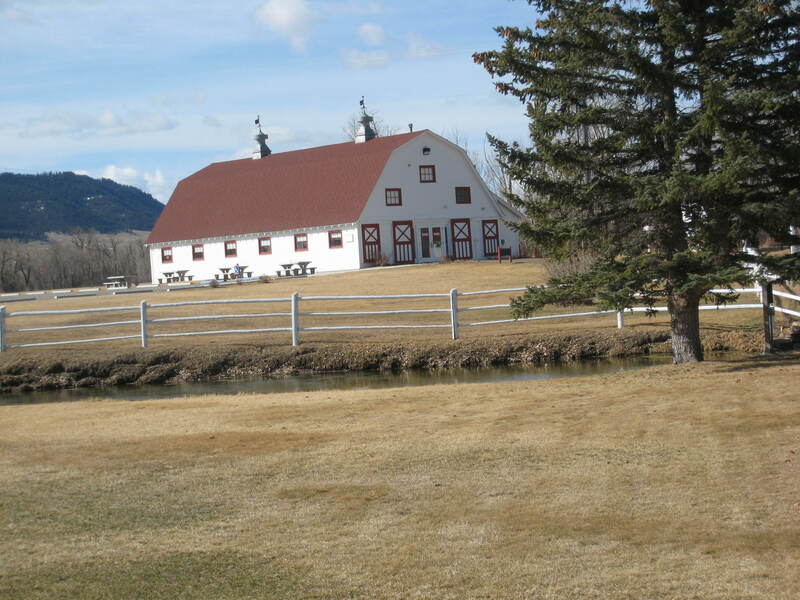 The Montana Preservation Alliance has done an admirable job of documenting the state’s historic barns, and the state historic preservation office has listed many other ranches to the National Register. But still the rural landscape of the Big Sky Country awaits more exploration and understanding. 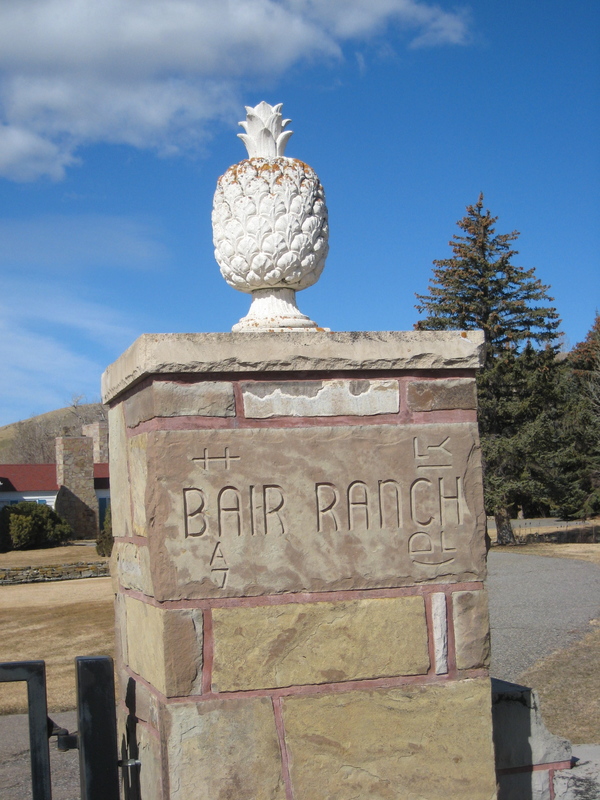 In the early 1980s the Bair Ranch outside of Martinsdale, Montana, was almost a mythical place. 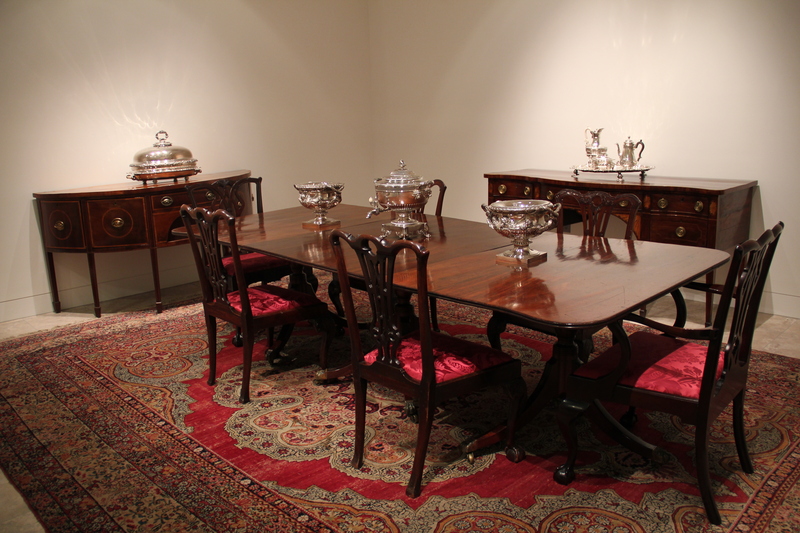 Curators and historians told me of wonders to be found inside, of an outstanding western art collection surrounded by the most eclectic mix of European antiques and decorative arts imaginable, especially for such an isolated spot. When I visited the area for the historic preservation plan in 1984, locals again repeated the stories of the wonders inside, but they were wondering what would happen to it all once Mrs. Alberta Bair passed–she was in her eighties then. that wealth could be gained from sheep–hundreds of thousands on ranches both on the Musselshell River valley near Lavina and along the Big Horn River near Hardin–but also by translating that agricultural wealth into investments in banks and industry. Bair was a stockman but his wife and daughters were more urbanities–and their Martinsdale home, with its irrigation ditch just outside the front windows, was proof. 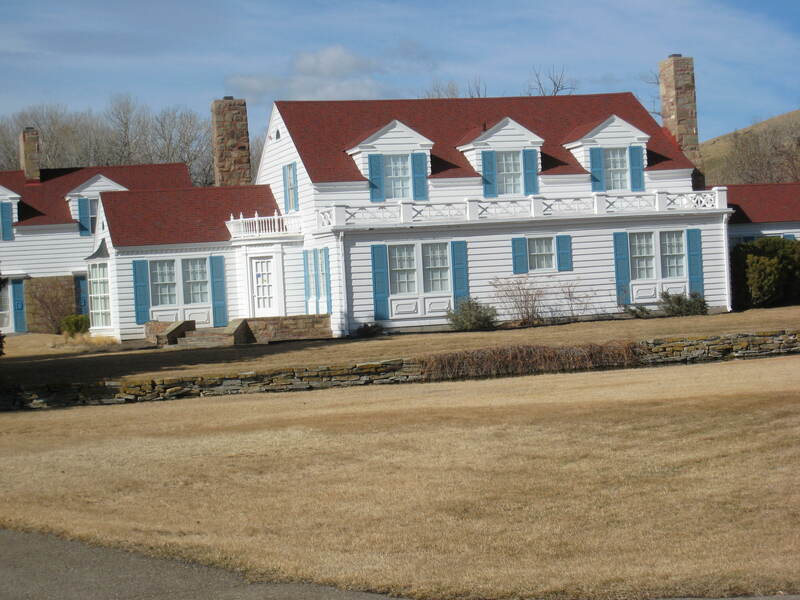 This house belonged more on Summit Avenue in St. Paul than it did on the plains of central Montana. 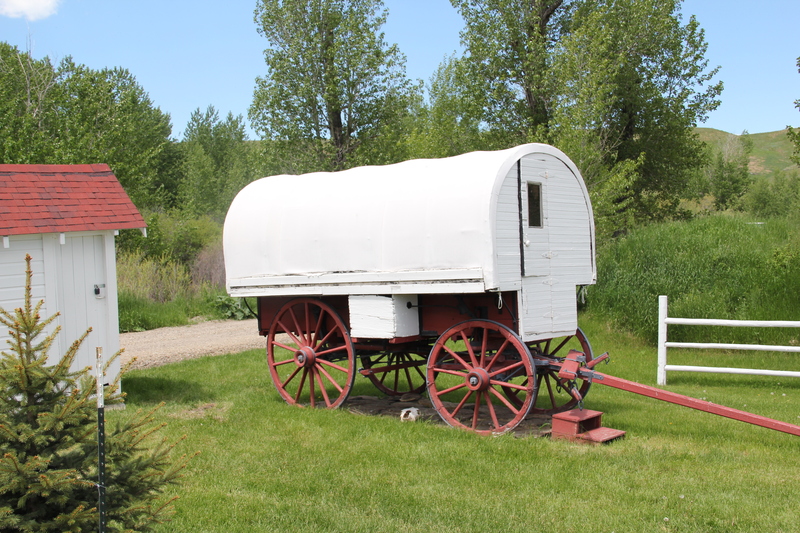 When Alberta Bair, the last of the daughters, died in the early 1990s, she confounded many by leaving the ranch house and its contents not to the state museum but to a local foundation. When I visited the place almost 15 years after her death in 2007 it was obvious that the foundation had maintained the property–it looked much as it did when I had been there in the late 1990s–but its hours of operation were sorta unknown and it was just there–still a powerful physical statement but little interpretation available. In 2011 and 2013 it was a different world. Rather than gathering people at the historic stock barn, there was a visitor center and a museum that could properly light and preserve not only key pieces of art and decorative arts from the collection but also serve as a place for small traveling exhibits, giving local residents a reason aways to return. The Bair Ranch was no longer just a mythic place–it was a destination. And from talking with the educators and volunteers who were working there in those years, the obvious pride of place was apparent, but they also took great delight in seeing how outsiders reacted to this touch of elegance, in the middle of nowhere. 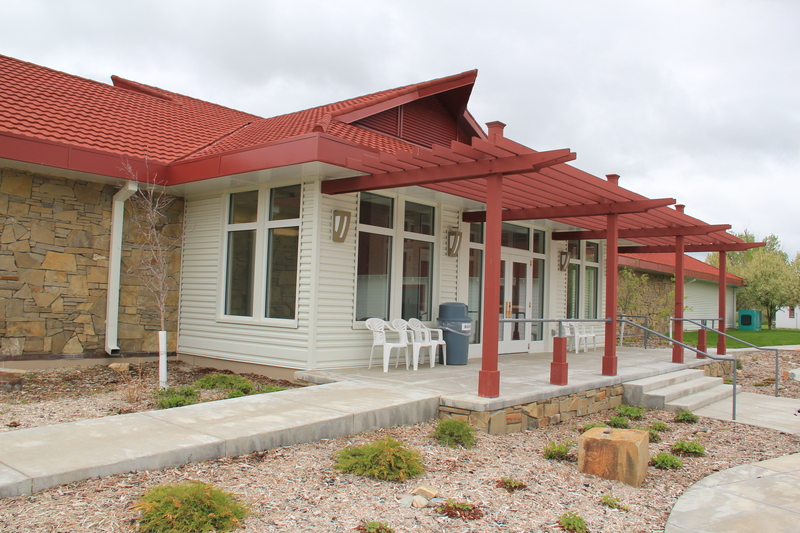 Here was one of those places transformed between 1984 and 2014–and transformed into a huge heritage asset not only for residents but for heritage tourism throughout central Montana. Certainly Alberta Bair left money–but it took some time for the foundation to find its legs and actually change the place from a preservation project into an education venue that could generate sustainable tourism. By making a visit unique and special, the foundation has helped secure the future of the Bair Ranch and its story that sheep could pay, and pay big–for this century. Just one of several stereotypes about the West and ranches smashed at this place outside of Martinsdale.